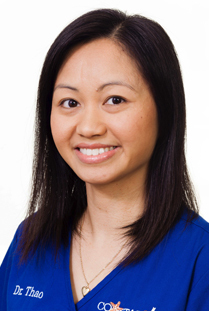 Dr. Thao grew up in Anderson, SC with her brother and two sisters. She loved going to the dentist as a child because her dentist made the experience fun, which inspired her to cultivate her dream to do the same for others. Dr. Thao is married to her high school sweetheart, Jason. She enjoys spending time with her husband and their son, Alex. She grew up immersed in Vietnamese food and culture and enjoys cooking, traveling and sampling multicultural cuisines.